There’s a place I go to called Green Street. In the heart of Forest Gate (that’s E7), just down the road from the old West Ham ground at Upton Park, and I’ve been going there ever since I was a little girl. 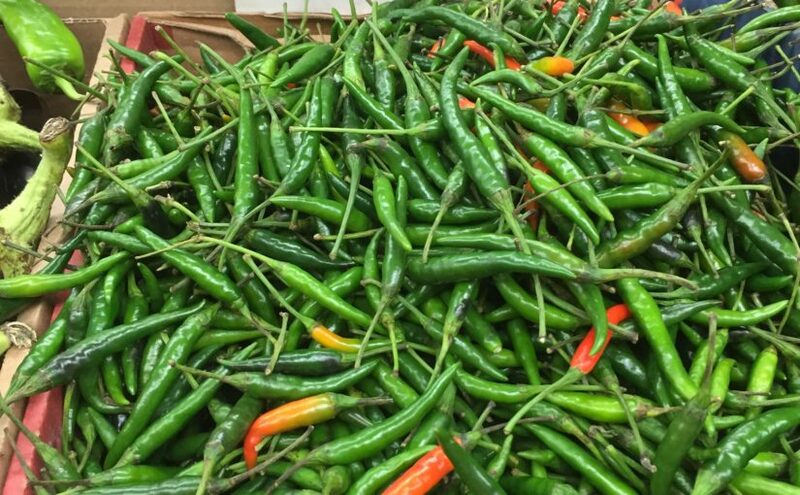 Growing up in Harlow in the 70s and 80s, we didn’t have the luxury of big supermarkets stocking everything we needed from chillies and coriander to black lentils or cumin seeds. So there was a fortnightly trip to Green Street to stock up on all our Asian grocery essentials. And if you need dozens of types of lentil or any spice under the sun, it’s still the place to go. 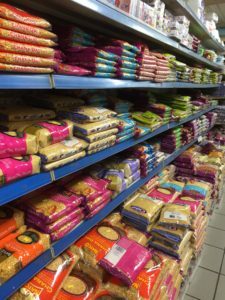 These days I can get all my Indian cooking essentials at the Asian and Oriental supermarket in Harlow (it’s called M18, off Edinburgh Way, tell Shahid I sent you!) but I still love a trip down to Green Street when I need something special. 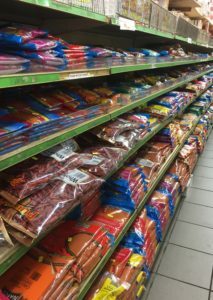 These photos are from Bharat Stores, which is my first stop for any trip to Green Street. If you’ve never been down there and you have any love of Asian food, culture or fashion, you won’t be disappointed. Another added bonus of visiting from May through July are the stacks of boxed mangoes which can be bought in the greengrocers or just being sold by some guy on the pavement. There’s something about the mango-selling guys, they really are the Del Boys of the street. 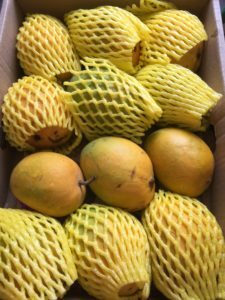 Lots of banter, lots of chat about how their mangoes are better than the other guy across the road and lots of offers which always tempt me to buy 2 boxes when I really only wanted 1! But it’s so worth it. The flavour and melting texture of the Kesar, Chausa, Honey and – the king of all mangoes – the Alphonso, are positively ambrosial. If you’ve only ever tasted a supermarket, South-American mango, you’ll be amazed at how different the two fruits are. They are smaller and sweeter and not at all stringy or fibrous inside. But watch out for the juice! It’s been said that the best place to eat a mango is in the sea or in the bath, but careful use of a napkin can be just as effective. So a few hours browsing the jewellery, beautiful sarees and shalwar kameez (just looking!) and more importantly cookware and vegetables is always a pleasure and never a chore. Do you have any top tips for Asian groceries? Where to buy them? 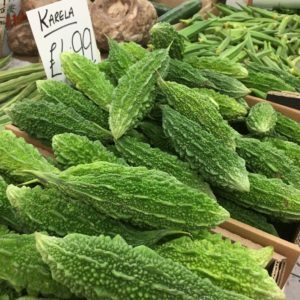 How to use specialist ingredients in your dishes? 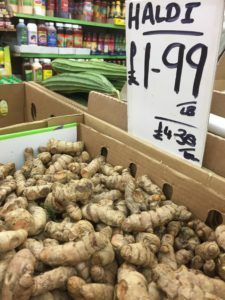 Can you find fresh turmeric for sale somewhere near you? If you do, I’d love to hear from you. Contact me on Facebook (Saira Hamilton Chef), Twitter (Saira Hamilton) or by leaving a comment below.